IFRF believes in providing children with the right nutrition to support their education. IFRF’s Mid Day Meal program is based on the belief that ‘you are what you eat’. Therefore one nutritious meal a day brings thousands of children to school. You can help every child in this country get an education, if you donate that one wholesome meal. Presently we cater over 12,00,000 meals everyday from our 24 kitchen centers across 10 states. The Midday Meal Scheme of Govt of India is being implemented by IFRF. A majority of the population in India is still unable to get even one complete square meal for the day, only because they are stuck in the vicious circle of poverty and illiteracy. Mid Day Meal has resolved to liberate the underprivileged from this vicious cycle by serving children with sanctified food.Imbued with a spiritual ambience in Mid Day Meal’s hi-tech kitchen, the khichdi prepared nourishes the mind, body and soul alike. The khichdi is prepared with the highest standards of hygiene and quality ingredients that meet the nutritional requirements of growing children. But most importantly, IFRF mixes a secret ingredient to the khichdi it serves – love, devotion and compassion that adds an unparallel taste of purity to the meal. 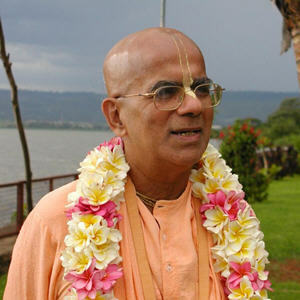 ISKCON Food Relief Foundation is a not-for-profit, non-religious, non-sectarian public charitable trust formed on April 23, 2004 and registered under the Bombay Public Trusts Act, 1950. "Srila Prabhupada noticed village children fighting with street dogs over remnants of discarded food. He turned to his disciple and said, "imagine how hungry they they are, Krishna is the Supreme Father, and wherever the Father is, Children should not go hungry". He gave an order. "By giving away food, one obtains the association of Prajapati (God the Father). Food s the first and foremost of all things." ISKCON Food Relief Foundation works with Government to provide hygienically cooked, balanced, nutritious, wholesome Mid-Day Meal food to children in municipal and government aided schools in India to improve access to good food and promote education. ISKCON Food Relief Foundation believes that food is a fundamental right. Inadequate nutrition not only affects physical, mental, and emotional health of children adversely but also restricts their learning ability, development opportunities and effective participation in the community. We believe that a simple way of breaking the vicious cycle of hunger and poverty is by providing them regular and nutritious food and this fulfils ISKON mission. Sponsor a school of Mid Day Meal Program we will provide a list of Govt. Primary Schools with the School name, address & number of student enrolled. Individual, Firm or a Company, Corporate House can select & sponsor a school of their choice. We are managing the Mid Day Meal Program like preparation of food, distribution, Govt. Liasoning, Accounting, Administration & Co-ordation. The present Kitchen based at Muhana, Jaipur has a capacity of 25,000 Meals per day. As per the Memorandum of understanding with the Government of Rajasthan, cost of Rs. 3.00/- per plate is reimbursed based on daily attendance as per the school list. The Sponsor will contribute the cost of short fall or Rs. 2.50/- per plate according to the enrollment of the individual school sponsored. Adopt a school an insure that these schools students gets nutritious food every day. Sponsoring the program take cares hunger & education both & children are not completed by their family circumstances to go for a menial job rather than pursuing their studies. Sponsor name will be displayed on a permanent sign board at the school for one year. Sponsor will be honored by the children at a special school function. Sponsor will receive Cetificate of Appreciation from I.F.R.F. Sponsor will be invited to the yearly "Sponsor Dinner Meet" where full yearly report is given. It provides me immense pleasure to comment on the great philanthropic work which ISKCON Food Relief Foundation has taken into its hands. In a country like ous, the most pressing problem is to provide nourishing food to millions of rural children, who have been deprived of even the basic needs of life and living. Such a strenuous effort by ISKCON is highly commendable and will become a mile-stone of motivation for other NGO's to work for this great social cause. 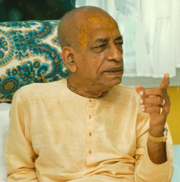 The Service of the Hare Krishna Movement goes beyond the need for the basic necessities of life such as food. It is a commitment which gives welfare a human face.